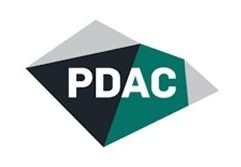 Sean Kyne TD, Minister of State for Natural Resources, provided the closing address at the “Ireland – Open for Business” forum at the Prospectors and Developers Association Canada (PDAC) Convention and Tradeshow held in Toronto, March 5th. 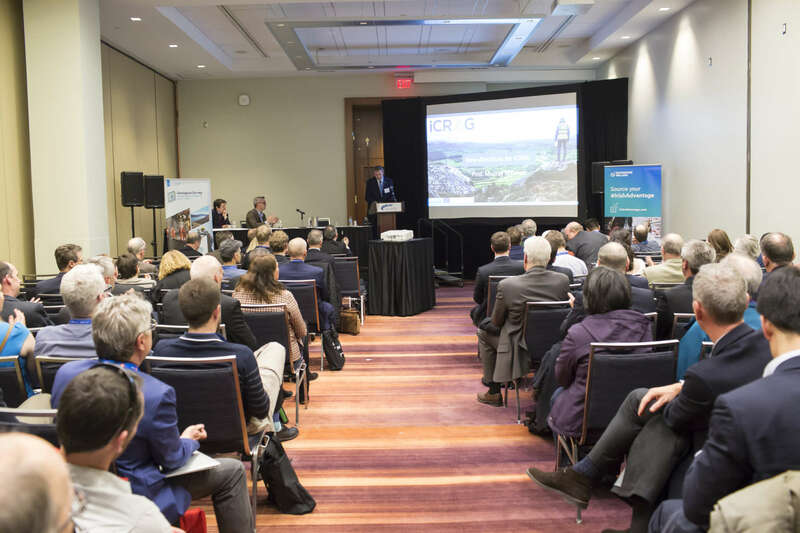 The all-island forum, now in its third year, was opened by Irelands Ambassador to Canada, HE Jim Kelly, and provided a platform for exploration companies to present Irish project updates to the 100+ delegation. Dalradian and Conroy detailed their respective gold projects, while Adventus, Glencore, Zinc Ireland (ZMI), Hannan, Unicorn and Group 11 provided updates on base metal exploration. Six Irish geoscience service providers presented their exportable skill sets and international case studies to the audience, five Geoscience Ireland members; Environmental Resources Management (ERM, Ireland), Irish Drilling, Lisheen Technical & Mining Services (LTMS), Priority Drilling and SLR Consulting (Ireland), along with tech company Initiafy. 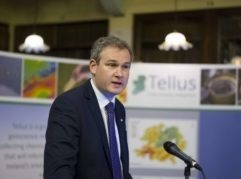 Minister Kyne noted Ireland as a leading destination for mining investment, acknowledging Ireland’s “Top 5 for Mineral Exploration and Mining” rating with the Fraser Institute (2018), and offered his continued support to the Geoscience Ireland network of 34 Irish companies in winning business internationally. In delivering his keynote address, Ambassador Kelly outlined Ireland’s strong shared history with the Canadian mining sector, and the broader economic and cultural linkages between both countries, and commended the support offered by the Ireland Day sponsors, Geological Survey Ireland (GSI) and Enterprise Ireland, in identifying and promoting business opportunities. Geological Survey Northern Ireland, celebrating its 70 years in operation, provided an overview of its jurisdiction and recent projects. Invest Northern Ireland promoted the opportunities in the region also. The Irish Centre for Research in Applied Geosciences – iCRAG – announced the appointment of Prof Murray Hitzman as the new director of iCRAG. Prof Hitzman, a world-leading economic geologist, will lead a new Science Foundation Ireland €4.7M research programme based at University College Dublin (see full Press Release). Geoscience Ireland, which sits on iCRAG’s Technical Advisory Committee, and GSI welcomes the appointment and offers its continued support to the national research centre.